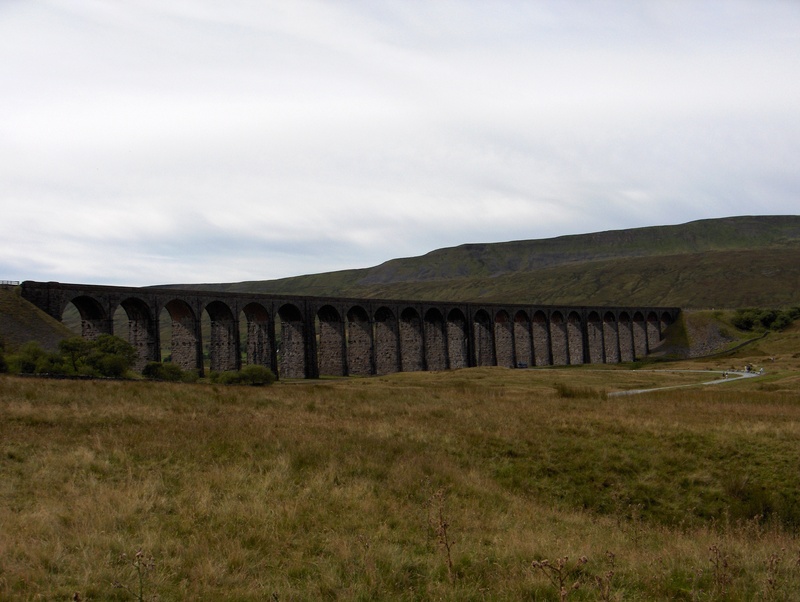 If you have been following the television drama series Jericho, you may be aware that it is loosely based on the building of the railway viaduct near Ribblehead in North Yorkshire. The magnificent Batty Moss viaduct, 1320 feet long and 104 feet high with its 24 arches which span the valley has been heralded as one of the great achievements of Victorian engineering. It was built by the Midland Railway between 1870 and 1874 and it crosses some of the most difficult terrain in the country. At one time 7000 men, known as navvies, were employed on the railway project, with 2000 of them in the Ribblehead area. They laboured in horrendous conditions and lived, many with their families, up on the moors in shanty towns during its construction. The towns were complete communities with post offices and schools. Some were given supposedly inspiring names such as the Crimean victories at Inkerman, Sebastopol and others, like Jericho, had biblical names. The remains of one of these camps, Batty Green, where over 2000 people lived and worked can still be seen near Ribblehead. Life was brutal. The work was hard and difficult and performed mostly without the aid of mechanisation. The boggy ground meant that piers had to be sunk to a depth of 25 feet below the peat and set in concrete to provide foundations. Death and disease were common. Smallpox as well as accidents took many lives. Eighty people died at Batty Green alone following a smallpox epidemic and the victims were buried in local graveyards in unmarked graves. To mark the millennium in the year 2000 a memorial was placed in the graveyard at the church of St Leonard in nearby Chapel-le Dale. 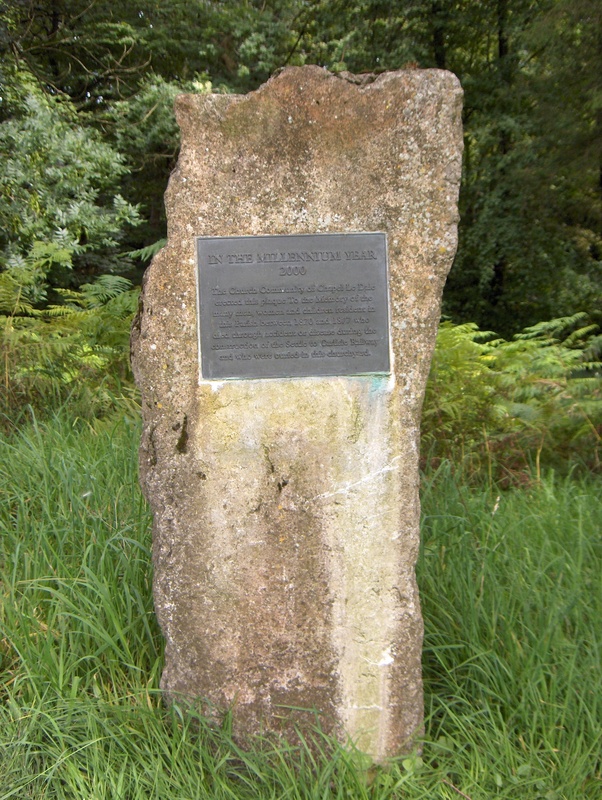 A large stone, part of a redundant gatepost from a local farm, has a memorial plaque which is inscribed: The church community of Chapel le Dale erected this plaque To the Memory of the many men, women and children resident in this Parish between 1870 and 1877 who died through accident or disease during the construction of the Settle to Carlisle Railway and who were buried in this churchyard. 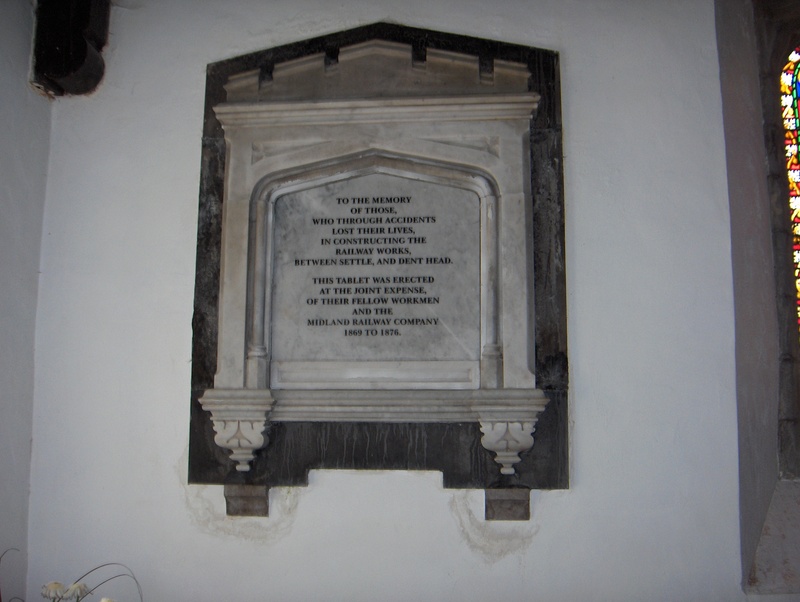 The memorial in the church at Chapel-le-Dale. The churchyard, which had to be extended to accommodate the hundreds of deaths, also has other graves connected to the building of the viaduct. 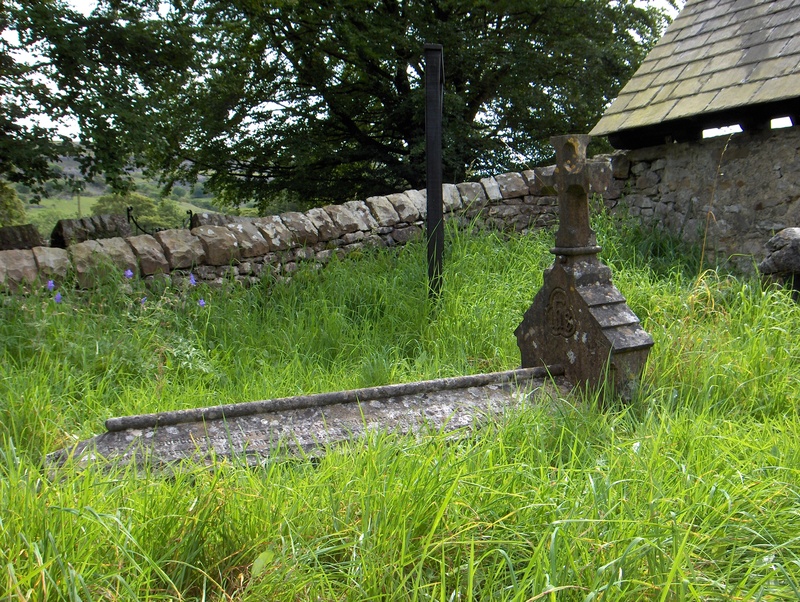 One is the grave of James Mather, to be found near the church porch. He was the popular host of the Welcome Home – a drinking place frequented by the navvies. He was visiting Ingleton when a horse and cart ran out of control. James bravely tried to grab the reins of the startled horse but was dragged under its hooves and died. He was aged 45 years. The grave of Ribblehead viaduct subcontractor Job Hirst. Another grave, near the lych gate, is that of Job Hirst. The inscribed tombstone records that he was a sub-contractor of the Batty Moss viaduct. He was mugged by unknown persons whilst riding a horse towards Ingleton. It would seem that the true stories of these workers is at least as sensational as their fictional counterparts. Ans although the viaduct is very picturesque those who lost their lives during its building should never be forgotten. My Grandfathers people The Hoults worked on the building of the Ribbelhead viaduct. That’s really interesting. Thanks for getting in touch.